What is the Composite Cutting. What is the best technology to perform it and why. What are the features of the machines for the cutting of Composites. Which are the applications fields: Aerospace is the most important; Automotive seemed to be promising; other application fields. 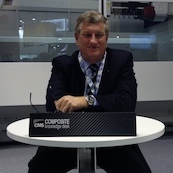 What perspectives for Composites and for the Composite Cutting.